Researchers conclude that acupuncture increases the clinical effective rate of the drug cefodizime for the treatment of acute exacerbations of chronic cholecystitis (inflammation of the gallbladder). Xining Haihu Hospital researchers combined acupuncture with standard drug therapy. 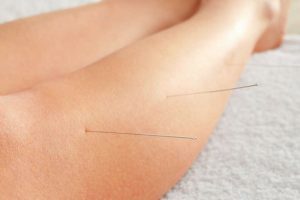 Patients receiving both drug therapy and acupuncture in a combined treatment protocol had superior patient outcomes compared with patients using only drug therapy. The VAS (Visual Analogue Scale) scores in the acupuncture plus drugs group were significantly better. The addition of acupuncture to drug therapy also produced significant improvements in the value of serum bilirubin and biochemical markers of liver functions. The researchers conclude that the combination of acupuncture plus drug therapy is safe and effective for the treatment of chronic cholecystitis. Let’s take a closer look at the results. The research demonstrates that acupuncture is an effective adjunct treatment for the alleviation of gallbladder inflammation. The study design was as follows. A total of 100 patients were randomly distributed into a control group and a treatment group, each consisting of 50 cases. The control group received drug therapy. The treatment group received acupuncture plus the same drug therapy administered to the control group. All patients were diagnosed with chronic cholecystitis between May 2015 and May 2016.